It was a dark and stormy day, hardly the best time to leave the comfort of my ship to explore an already sinking abandoned city. I’d come down with a bad cold during the three-day cruise down the Yangtze River, and the last thing I wanted to do was wander around in the downpour, sniffling and sneezing, while other tourists jabbed me in the eye with their umbrellas. However, I did want to write about China, a country I’d fallen madly in love with over the past month, but I’d yet to have a single decent idea. So I joined the tour of Fengdu, the famous ghost city, despite my misgivings. Since Fengdu is now a popular attraction, it’s not as scary as you might think. Legend has it that spirits are the only residents since the villagers were forced to permanently evacuate, but since this eerie idea is expressed through costumed interpreters and statues of demons and ghouls, it comes across as campy rather than scary. Still, it was easy to see how spooky the place would be at night, once the tourists went home. Those statues looming out of the dark, that feeling that someone–or something–is watching you. This got me thinking…what if someone got trapped in the ghost city overnight? Or what if they wanted to get trapped there? Before long, Jackson Stone–who decides to write a series of paranormal bestsellers so he can make enough money to leave his dead-end job–started talking to me, and I was off and running. 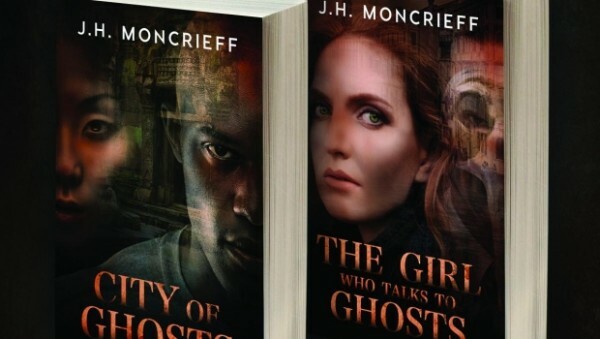 During Jackson’s adventures (of course he’s on a tour of China, much like I was when I invented him), he meets a medium named Kate who helps him uncover the dark mystery behind the ghost city’s missing women. Enter Poveglia, the world’s most haunted island, which was even more inconvenient than my tour of Fengdu. I paid 70 Euros to take a water taxi to this church in Venice, where I was to meet a tour group who’d promised to take me to the island. After waiting for over an hour, I was forced to accept the terrible truth–I’d been stood up. Did I mention it was my birthday? Somehow, I managed to find my way back to my hotel (which, in Venice, is no easy feat), buying myself conciliatory birthday gifts as I went. I asked every shopkeeper if they knew how to get to Poveglia, but no one was able to help…or understand why on earth I wanted to go there in the first place. Finally, I asked the water taxi drivers. They were willing to take me, but it would cost 200 Euros for the round-trip–pretty steep when I’d already spent 70 getting to that church. Dejected, I went back to my hotel, where the manager offered to help. He got a water taxi driver to agree to leave me on the island for two hours. It wasn’t any cheaper, but I felt better now that someone else knew my whereabouts. With my boyfriend cheering me on from back home: “You only regret the things you haven’t done,” I was on my way to the most haunted island in the world. As soon as I got there, it started to rain. It figured. But I didn’t regret a second of the time I spent on Poveglia, even though I was scared out of my mind. When the beta readers of City of Ghosts told me how much they loved Jackson’s friend Kate and that they really wanted to know what happened to her and Jackson after the first book, a series began to take shape. As the most terrifying place I’ve ever been, Poveglia was a natural setting for the second book, The Girl Who Talks to Ghosts. It’s always a good idea to leave your comfort zone. You just never know what might happen. 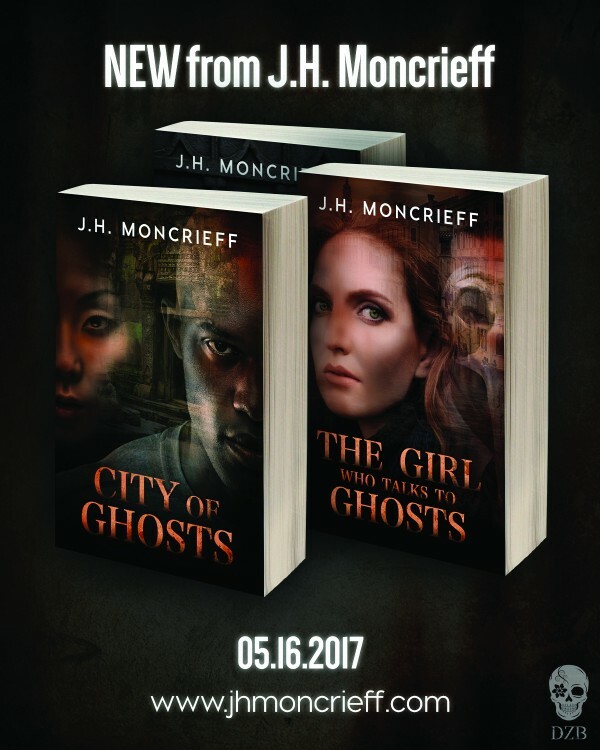 The first two books in the GhostWriters series, City of Ghosts and The Girl Who Talks to Ghosts, will both be released on May 16th. If you haven’t already signed up for my Thunderclap campaign, it’s super easy and I’d really appreciate your support. If you love reading about mysterious places and the supernatural, there’s a plethora of free books on those very topics tucked away in my Hidden Library. You can snag your secret key here. To everyone I owe blog comments and visits to (and there’s a lot of you), I apologize. It’s been a crazy month, but I promise to make it up to you. I always like to say, you never know where the next great story idea is going to come from! Nice work. So true, Randee, although I could have placed bets on Poveglia. Thanks for reading! I bet they are just dripping with atmosphere since you’ve been to both places. Congrats on the upcoming releases. That was certainly the intent! Thanks for the kind words. I’m crossing my fingers the books do well. I remember your blog post about that scary trip to Poveglia. Can’t wait to read these books! Thanks so much, Catherine. You have been so supportive of my writing from the beginning, and I can’t even begin to tell you how much I appreciate it! Love reading this background info – you are so brave! – and I remember that Poveglia post – so creepy! Wishing you all the best for May 16th! Thanks, Madeline! I hope it goes well. And Poveglia did require some serious guts, I must admit. Love the background stories. Experiences lead to creations! Your new blog layout rocks! Good luck on the 16th. You have been crazy busy! That I have been! Thanks for understanding my absence on your blog and for sticking with me. I really appreciate it. And thanks for the kind words about the new site. I’m so thrilled with it! Very interesting background story. Really looking forward to May 16th. Aw, thanks so much, Dave. I really appreciate the kind words. Launching a book (let alone two!) is always nerve-wracking. What a fascinating time you’ve had. Glad you got ideas for this story, which sounds great. Best wishes. Thanks so much, Diane! I appreciate the kind words. Thanks, Diane. I’ve been really lucky to travel as much as I have in the last few years. It’s been a main goal of mine since pretty much forever! Thanks, Birgit! It’s expensive to get there, but so, so worth it! City of Ghosts is such a great book. I’m excited to read The Girl Who Talks to Ghosts. I’m sure it will be equally compelling. Thanks so much, Ryan. In some ways, I think TGWTTG is a bit stronger, as Jackson and Kate have gotten to know each other and there’s a lot of fun banter between them. And Poveglia is such an intriguing setting! Oh, the ghost village sounds fun, but I agree it would be way more atmospheric at night and without the hordes of other tourists. I think so too. I wish I’d gotten to see it that way, but I don’t have the guts Jackson does. I’m also not willing to inconvenience and worry everyone on my tours! These stories sound excellent. I’d love to know more about your travels, but I’m guessing the most of the juiciest parts will show up in your stories. Actually, I’ve written blog posts about both trips. Just do a search for Fengdu or Poveglia on my blog and you’ll find them! I’m so looking forward to these books. Aw, thanks so much! I hope you like them. Thanks for signing up for my Thunderclap too. You think you are behind. Ha! I just found the email in my inbox buried under many more notices of posts I haven’t read. I am not sure I will ever catch up, lol. The books sound very interesting! No worries, Denise. It’s never too late. If you’re interested, the ebook version of City of Ghosts is free right now.